By Audrey Golden. Feb 15, 2018. 9:00 AM. Collecting artist monographs and exhibition catalogues can be an especially exciting endeavor. In addition, many artists’ books are, themselves, pieces of art to be collected. For example, many artists created hand bound, limited editions that can be added to any discerning collector’s shelves (and, in most cases, can and should be displayed). Yoko Ono has an interesting personal history, as well as a fascinating role in the contemporary and conceptual art worlds. 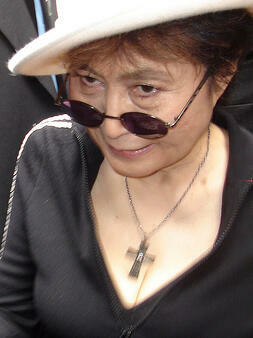 Prior to meeting John Lennon, Ono was involved in performance and conceptual art movements in New York City. Most notably, she participated in “happenings” involving many performers and musicians within the Fluxus movement—a group of conceptual artists—in the 1960s. She also made and wrote books, and we’d like to tell you more about them so you can add them to your collection. What do you need to know about this artist’s book? First, it’s really difficult and expensive to obtain a true first edition. The first edition was published in 1964 by Wunternaum Press in Japan in a very small edition of only 500. Each of these original 500 copies has the handwritten title, “Grapefruit,” on the cover—all handwritten by Ono herself. As such, each of the covers is distinct from all others. The Guggenheim Library has a copy in its special collections, and it pulled it out for viewing during NYC Rare Book Week in 2015. To obtain a copy of Grapefruit, art book collectors should expect to pay tens of thousands of dollars. For instance, we’ve seen copies of the first edition inscribed by Yoko Ono selling for more than $30,000. In 1970, Simon & Schuster published an edition of the artist book with facsimiles of the illustrations and text contained within the original. Even copies of this edition, inscribed by Ono, can sell for more than $10,000. A year later, Sphere Books published the first British paperback edition in London, and inscribed copies of this edition, too, have been sold for thousands of dollars. Speaking of John and Yoko, in addition to copies of Grapefruit and numerous other art objects created during her time with Fluxus, Ono also wrote and published a number of books and pieces of ephemera with her husband, John Lennon. These objects, too, should be of interest to anyone who collects artist books (especially those of Ono). For example, in 1969, Ono and Lennon self-published a “War is Over!” flyer, “if you want it.” The broadside, really, ends with a wish from the creators: “Happy Christmas from John & Yoko.” For any collector of Yoko Ono’s works, these flyers are quite rare, but a handful of them are floating around for sale. There may even be an opportunity to find signed or inscribed copies for the particularly discerning collector. 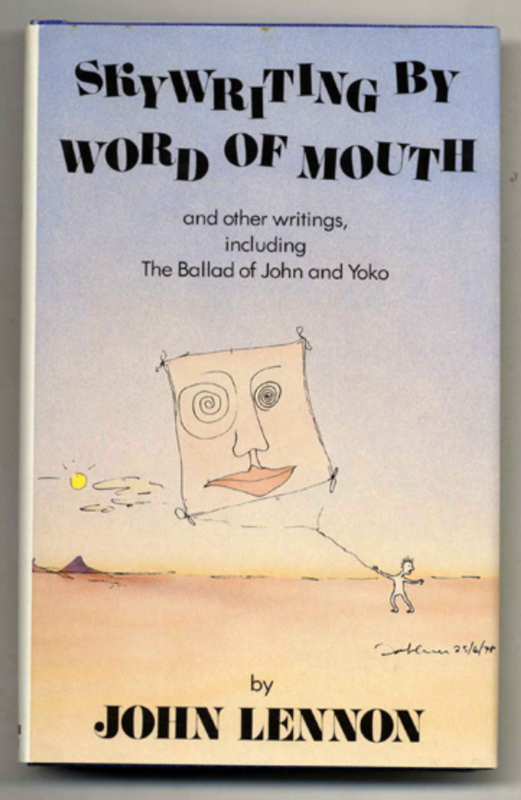 In addition, we recommend looking into Skywriting By Word of Mouth and Other Writings, including The Ballad of John and Yoko (1986). This book initially was written while Ono was pregnant with Sean, and Lennon planned to publish it shortly thereafter. However, given his assassination in 1980, the publication of the book was put on hold until 1986. Collectors can find first editions of the book published by Harper & Row, and they may even be able to get their hands on a signed and inscribed copy. If you’re interested in learning more about artists’ books or beginning a new collection, the individual work of Yoko Ono, as well as her collaborations with John Lennon, could be a fascinating place to start. We recommend seeking out Fluxus items and catalogues in which Ono may be featured, along with individual monographs and exhibition catalogues featuring her work. And certainly don’t forget about broadsides and other pieces of ephemera that could make particularly interesting additions to any collection.